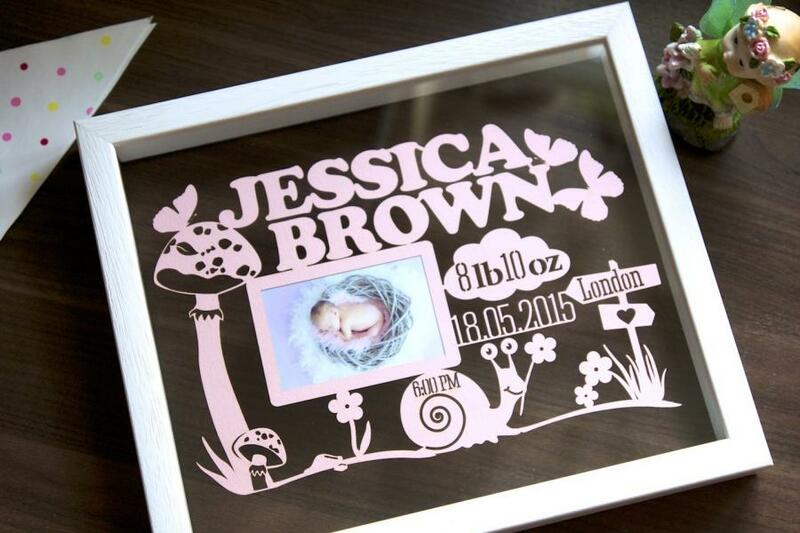 Want to pick the perfect pressie to commemorate a birth or christening for that special friend or family member’s child? 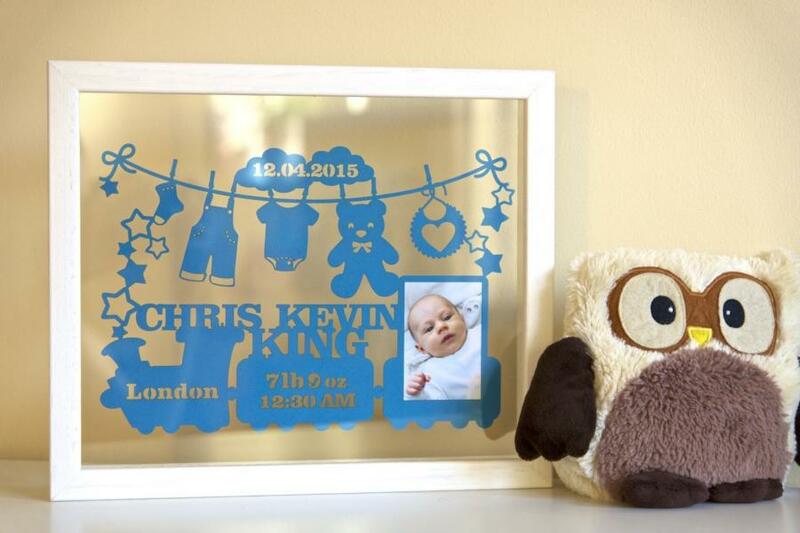 Are you looking for a unique new baby gift guaranteed to get that delighted ”Oooh” response from your recipient? Would you like to see their happy smile when they open this gorgeous present? We know it can be really hard to know what to give someone on such a special and important occasion. 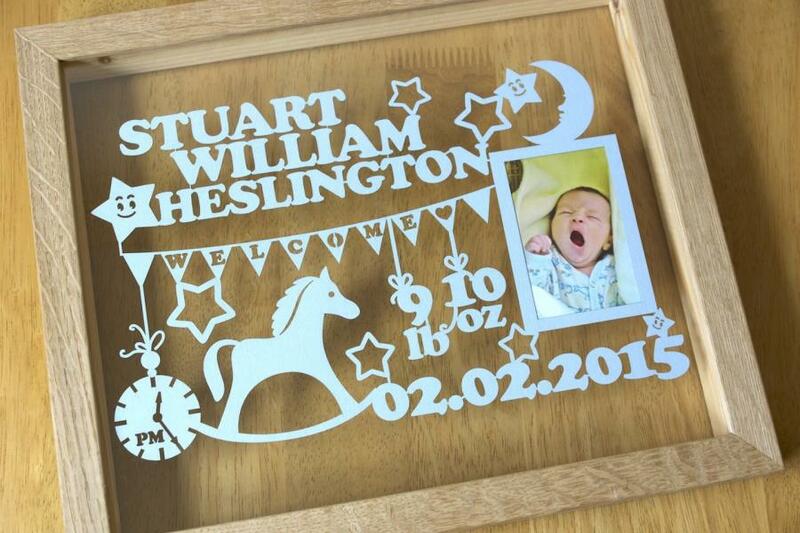 That’s why we’ve created the ideal memento with this completely customisable personalised present they will treasure for years and years to come! of course, put the names, dates, weight, and place of birth of the baby! Phew, we think you’ll agree, all these options make this new baby gift truly a cut above. 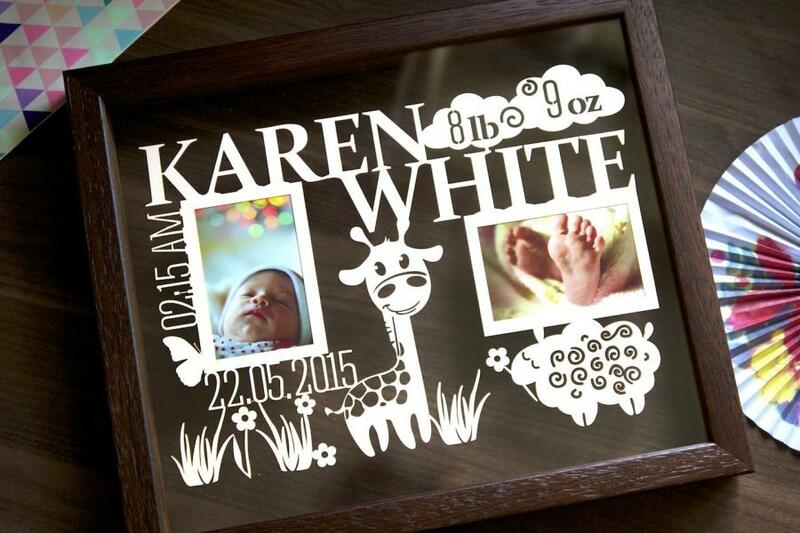 Superb for a christening or a birth, this unique papercut will be displayed with pride by whoever it is given to and is 100% sure to impress. Choose the size of your artwork and its colour. Select the theme. 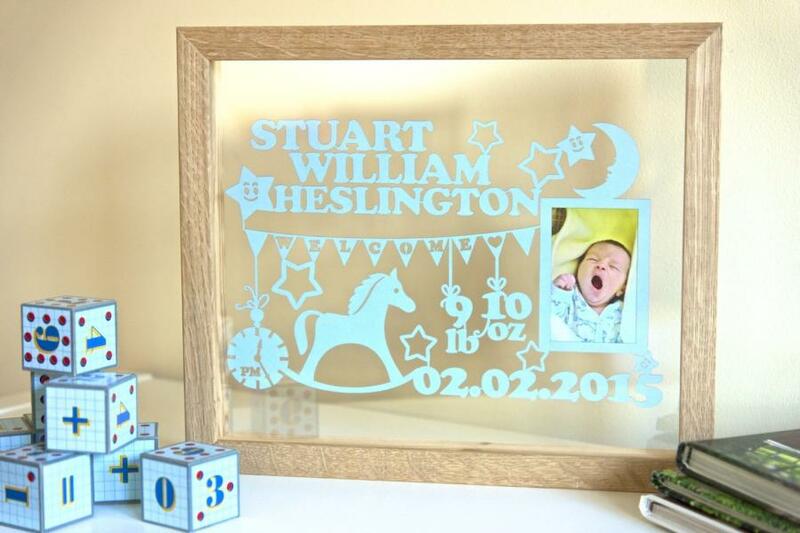 If you want something different, just put a note at checkout and we’ll design design it for you at no extra cost. Choose the frame colour. (unless you want it unframed and will frame it yourself). Upload your baby picture (or pictures) using the “Upload your Picture” button. Framed using one of our unique, handmade floating frames designed by us and specially made by our local framers in Buckinghamshire. Unframed. 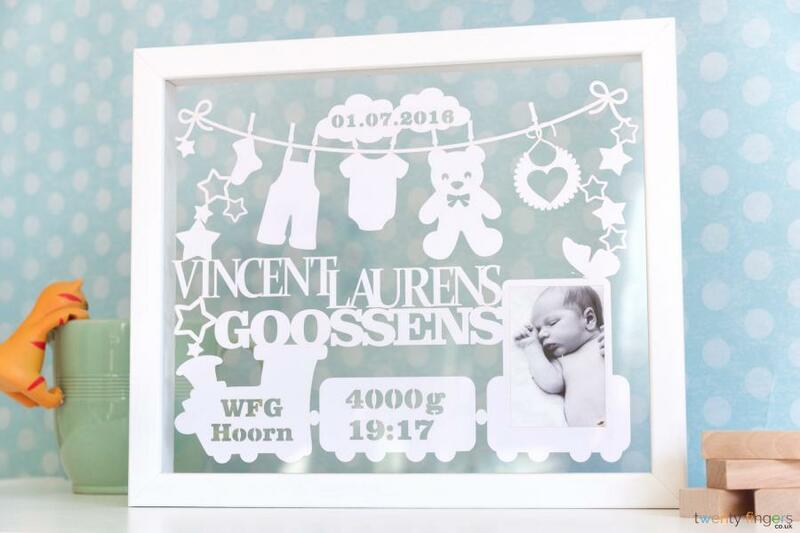 If you have your own frame or are not sure about matching colours and décor, you can order your papercut without a frame. We’ll design and cut it for you. It will be temporarily mounted to corrugated paper to ensure it’s not damaged on its way to you. Unframed papercuts will be approximately A4 size depending on your initial order selection. 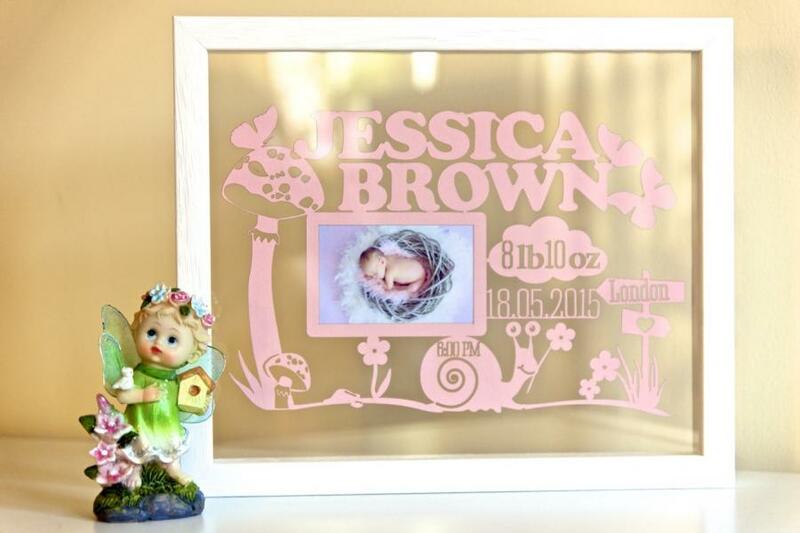 Invisible TrueColour Glass eliminates 99% of sun glare and adds UV protection to your artwork. It does cost a bit more but is well worth. Asked for a bespoke baby picture and could not have been happier with it. Such a fab job well done. One very happy customer!